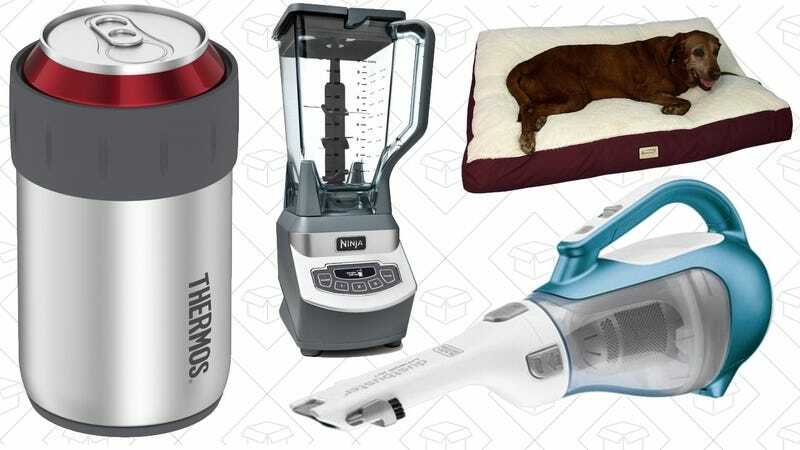 Thermos gear, your favorite blender, and pet beds lead off Wednesday’s best deals. Today only, Amazon’s deeply discounting a selection of insulated Thermos products that will keep your favorite liquids hot or cold for shockingly long periods of time. For my money, the best deal here is the can insulator for $7, which will keep a 12 ounce can chilly for up to three hours. 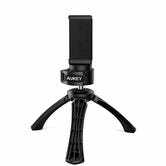 YETI sells something like this for about $25, and some other companies offer them for around $10, but I’ve never seen one this cheap before. Beyond that, you’ll find bottles, food jars, and more if you head over to Amazon. Just remember that this is a Gold Box deal, so lock in your order before these prices cool off. Amazon’s Kindle ebook sales normally pop up on Sundays, but hey, what better way to end the month, right? The selection here is relatively small, but everything’s $3, and the sale includes Mr. Mercedes by Stephen King, as well as Brooklyn (which inspired a very good film), among several others. You probably looked at that image up there and laughed. But let me tell you, there’s nothing funny about using the bathroom in the middle of the night and having to turn on an overhead light to see where you’re going. Because as soon as you hit that switch, you know you’re not getting back to sleep for another hour. OxyLED’s new motion-sensing toilet lights fit on just about any toilet, and can output 12 different colors of light without wreaking havoc on your circadian rhythms. For a limited time, you can score a 2-pack for $17 with code 2OXYTN01. 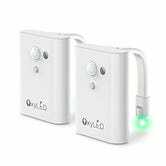 Note that this is a brand new product, so it doesn’t have any reviews yet, but our readers have purchased thousands up thousands of other motion-sensing LED products from OxyLED, so it’s a brand you can trust. Following the OxyLED toilet light discount from earlier today, we’re dropping bathroom deal number two in the form of Squatty Potty, which is down to $22 for the holidays. The thing is, we’re all pooping incorrectly. But the obscenely popular Squatty Potty is designed to lift your legs into an ideal bowel movement position, and the 7" model is $3 off right now on Amazon. We’ve seen this drop as low as $17 in the past, but discounts of any size are extremely rare, so this isn’t a bad price for a practical (and somewhat silly) holiday gift. Squatty Potty The Original Bathroom Toilet Stool, White, 7"
Some people can’t live without their coffee, but for me, it’s fizzy water. 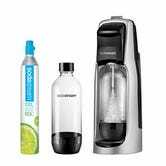 While supplies last, you can get a SodaStream Jet from Groupon for $50, complete with a small starter CO2 canister. Want it faster? 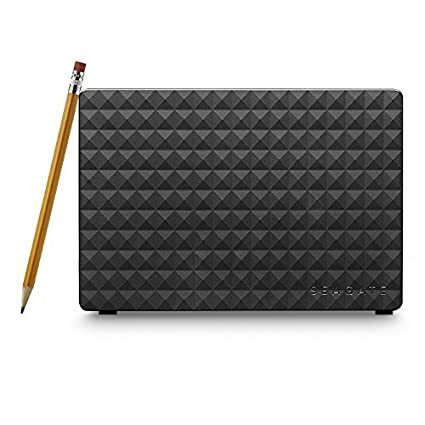 It’s also available for $56 on Amazon with Prime shipping ($10 discount shown at checkout), the lowest price they’ve offered in months. 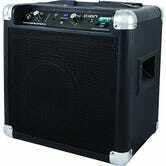 Ion Tailgater, $70 for Prime members. Discount shown at checkout. 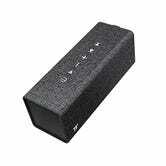 When you hear the phrase “Bluetooth speaker,” you probably think of a small brick that can fill a room with decent-sounding audio. 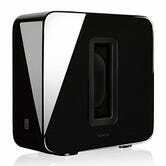 This is not that kind of speaker. The Ion Tailgater though has enough oomph to provide tunes for an entire block party or barbecue, and its 50-hour battery means you don’t even have to worry about plugging it in. It even comes with a microphone for announcements or terrible karaoke. $70 is the best price we’ve seen on this thing, but it’s only available for Prime members, and you won’t see the discount until checkout. Update: Now up to $17, which is still a really good price for these things. 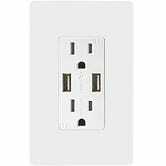 Today on Amazon, you can get highly-rated duplex receptacles with a pair of USB ports for $14 each. These have proven very popular with readers in the past, even at higher prices, so be sure to secure a few before Amazon sells out. 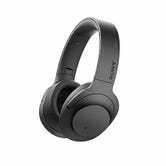 Sony’s MDR line of Bluetooth headphones sold like gangbusters during Deals Week, but if you were holding out for noise cancelling models, Amazon’s rewarding your patience today with a $150 discount on Sony H.ear on-ears. These headphones have all the features you’d expect in a good pair of Bluetooth headphones these days: NFC pairing, 20+ hour battery life, and even Hi-Res audio compatibility. But the secret sauce here is noise cancellation, powered by dual microphones and a chip that selects the best cancelation mode based on your surroundings. $200's still a pretty penny, but it’s the first discount Amazon’s ever listed on this model in its 6+ months of existence. 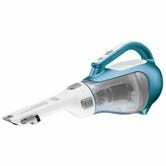 Cordless hand vacs are handy for cleaning the nooks and crannies of your house, but they’re especially great for vacuuming out your car. This 16 volt model from Black & Decker is just $38 today on Amazon, the best price we’ve ever seen. 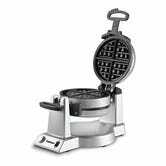 Cuisinart’s double belgian waffle maker can make, you guessed it, two belgian waffles at the same time, and it’s never been cheaper. I make fresh waffles in my waffle iron every month or so, but in between, I’ve used it to make hash browns, pressed sandwiches, and even churros. Lifehacker has a ton of other suggestions too, including mozzarella sticks, 90-second cookies, pre-packaged cinnamon rolls, and even crispy bacon. So you see, calling this thing just a waffle iron sells it short. The Ninja Professional BL660 recently took home the title of your favorite affordable blender, and Amazon’s marked it down to $82 today. 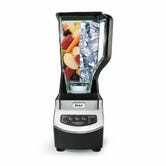 In case you missed the Co-Op, the BL660 includes an 1100 watt motor, a 72 ounce pitcher, and a pair of single-serve smoothie cups so you don’t have to clean the big pitcher every time you feel like making yourself a smoothie to go. 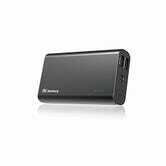 $82 is easily the best price we’ve ever seen on this model. The step-down NJ600 is also down to an all-time low $59 today. 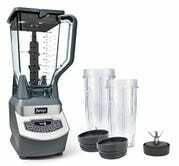 It doesn’t come with single-serve blending cups, and its motor is a little less powerful, but it’s still a great blender at that price. 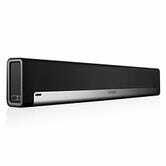 As long as you don’t mind buying a certified refurb, this 29" VIZIO sound bar is fantastic value at $50. 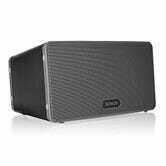 Without a subwoofer, this might not be ideal for a main home theater sound system, but it’d be a massive upgrade to, say, your bedroom TV’s built-in speakers. 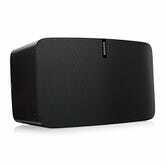 And when your TV’s turned off, it’ll also work as a massive Bluetooth speaker for playing music from your phone. 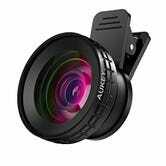 The camera built into your phone is a minor miracle on its own, but with a good set of clip-on lenses and a tripod that can fit in your bag, you can take your mobile photography to a whole new level. Both would also make great stocking stuffers. 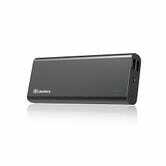 Jackery’s Thunder battery packs include Quick Charge 3.0, and both the 10,050mAh and 20,100mAh varieties are marked down to their lowest prices today. Just pick your favorite size, and be sure to use the appropriate promo code at checkout. We’ve seen these at $22 and $30 several times in the past, but today’s discounts dropped the price floor a little bit lower, just in time for the holidays. 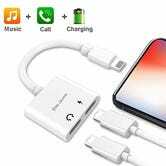 $10 is a pretty decent price for a normal Qi charging pad, but it’s the best deal we’ve ever seen on a Qi stand with three charging coils. That ensures that no matter what phone you’re using, one of the coils should line up with the one in your phone. 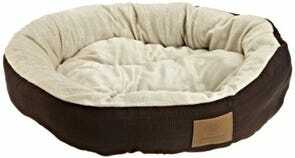 Your pets deserve gifts this season too, and Amazon’s got just what they’re looking for in today’s Gold Box. 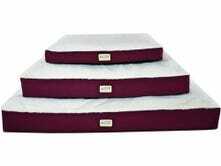 You get your pick of five different pet beds (assuming none have sold out), starting at just $11, with shapes and sizes available to fit any furry friend. Update: Now up to $12, which is still a great price for these. 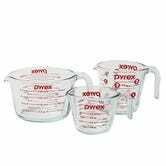 We love Pyrex around these parts, and their 3-pack of measuring cups is down to $11 today. In addition to looking great, the cups are microwave and (semi) dishwasher safe, and since they’re made of glass, they won’t absorb any odors, flavors, or stains. Plus, they just feel heavy and professional, and would make a nice gift. Need a gift idea for the sports fan in your life? 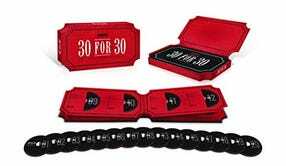 The ESPN 30 for 30 five-year anniversary collection includes a whopping 100 films from ESPN’s award-winning documentary series, all for an all-time low $30. Anthropologie will be a good destination to start looking for outfits for all those holiday parties you need to go to. Get something unique (and something you’ll end up wearing again) with an extra 30% off sale styles. There are a ton of dresses that would look great next to a bowl of eggnog and chestnuts roasting on an open fire. Thousands of you bought SONOS PLAY:1 speakers during Amazon’s $50 deals week discount, but the fun just got extended to the rest of the line, with discounts running $30-$50 on the PLAY:3, PLAY:5, PLAYBAR, and SUB. On a percentage basis, none of these deals come close to the 25% PLAY:1 discount, but SONOS deals of any amount are extremely rare, so you shouldn’t miss this opportunity to add to your collection. 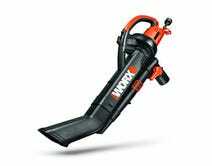 The Worx Electric TriVac is a leaf blower, yes. But with the flip of a switch, it reverses suction and becomes an outdoor vacuum and mulcher, and Amazon’s marked it down to an all-time low $80 today, just in time to clean up those leaves you’ve been meaning to deal with. 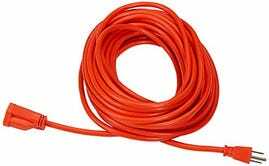 Note: This model doesn’t run off a battery, so you’ll want to get an extension cord if you don’t already own one. 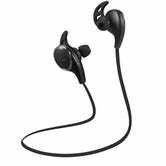 If you didn’t find any deals you were into for bluetooth headphones yesterday, here are a couple you’ll be into. 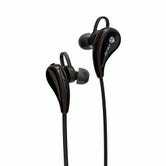 Grab a pair of iClever headphones for only $10 with the code DIGBTH08 or a pair from TaoTronics for $19 with the code Y3BOP4V8. You really can’t go wrong. TaoTronics’ new Bluetooth speaker, with its wraparound linen cover, is one of the most attractive I’ve ever seen, but don’t let that blind you from the impressive tech: 24 hours of battery life (same as the popular Anker SoundCore), dual 8W drivers, and the newest Bluetooth 4.2 standard. I can think of worse gift ideas. 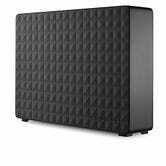 News flash: 8TB external drives exist, and you can get one for $170. And for how small it is (look at it next to a pencil! ), it’s insane that it can hold that much. 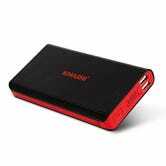 KMASHI’s insanely affordable battery packs are back down to their lowest prices, including the 20,000mAh model with Quick Charge 2.0. Even if you already have one (if you read Kinja Deals, that’s a pretty safe bet), these would make great stocking stuffers. Just be sure to note the promo codes. 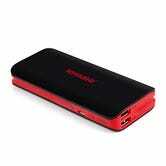 $6 would be a good price for a Quick Charge 2.0 wall charger with one port. Today though, that gets you a charger with two extra (non-QC) ports as well, making it perfect for everything from your office to your nightstand to your luggage. 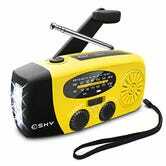 You never want to be in a situation where you need a solar and hand crank-powered weather radio with a flashlight and USB port for charging your phone, but when you can get one for $18, you probably should buy it just in case. 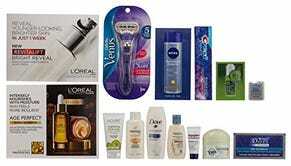 Amazon sample boxes are one of the only good things to come out of 2016, and they’re back at it again with a $10 box full of men’s grooming gear, plus a $10 credit to spend on over 130 select men’s grooming products on your next order. Assuming you use the credit, that basically means you got six name-brand products for free. Get beautiful and get free stuff at the same time. Choose between a $12 Amazon beauty box and a $20 Amazon luxury beauty box, which is a little more fancy-schmancy and receive equivalent credit ($12 and $20, respectively) to use on a number of featured products, depending on which box you chose. It’s basically free money that you can use to further your beauty obsession. 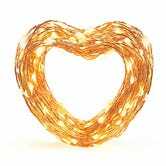 Anker’s home goods brand, Eufy, put its new set of copper string lights back on sale today for an all-time low $7. Unlike last week’s Black Friday sale, this set doesn’t include a remote, but it’s also $4 cheaper, and is a fine option for indoor or outdoor holiday decorating. Sitting is killing you, but if a standing desk isn’t an option, this discounted foam cushion can at least take some of the strain off your lower back. 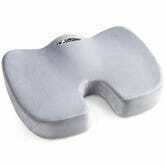 Aylio’s orthopedic cushion is designed to take pressure of your tailbone while seated, easing lower back pain and numbness. If you’d like to hear from people who’ve actually used it, just scroll down to the user reviews, where it carries a 4.4 star average from nearly 10,000 customers. Today’s $24 price is $6 less than usual, and an all-time low. I just wish I’d had one over the last week. Nobody, I repeat, nobody, will be upset to get a five pound bag of Haribo Gold Bears for the holidays. You don’t even have to tell them it only cost you $10. 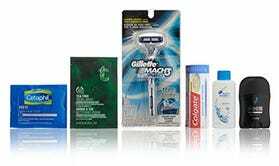 If your razor of choice is a Gillette or Venus, Amazon’s shaving $6 off dozens or cartridge refill packs, for a limited time. Just find the one that’ll fit your handle, and you’ll see the discount automatically at checkout. You can also save a little more by using Subscribe & Save, though the coupon will only count towards your first delivery.